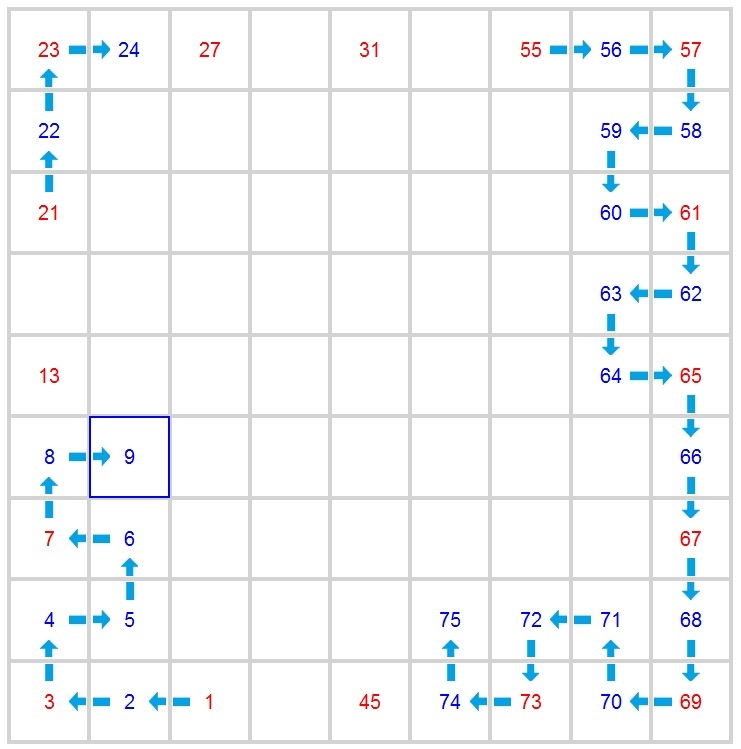 NumbrixPaths helps you solve Numbrix puzzles by tracing a path as you go. Concentrate on the cells that have not been connected. NumbrixPaths is better than other online solvers that make you type in your numbers! In this picture, 9 is selected. If you click either blank cell next to the 9, NumbrixPaths knows you are extending the path, and fills in a 10. But it's still YOU that must say which path to extend, and which way to extend it. You even have UnDo! And you don't have to UnDo your moves in reverse order, like in a word processor. See puzzle solutions. See Play-By-Play solutions! Start with the demo! Learn how to work the program. Learn a few solving tricks, too! No credit card. Not even an email address! We just want to keep track of which puzzles you've played.